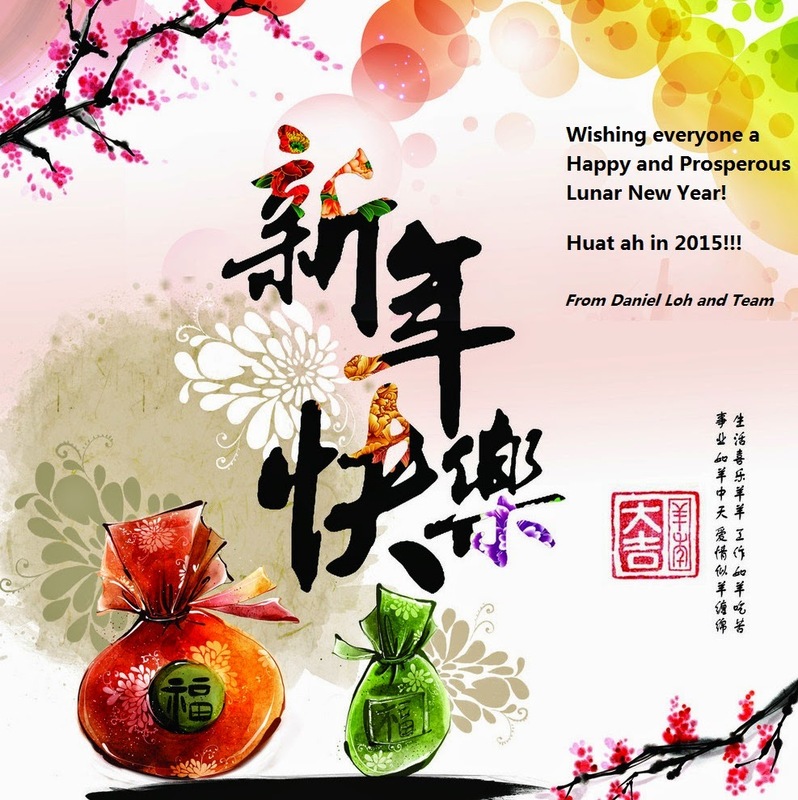 Daniel Loh: 2015 HUAT ah!!! S&P500 continue to hit new intraday high at 2100 yesterday! This is as bullish as it can get! We are right that US market - S&P500 will hit new high before April. DOW is back above 18000 and a few points off its high. No doubt that it is going to hit all time high again. Do remember that we continuously think the market might be in a bullish till April. Enjoy this ride! Any small drop is pick up time. Today is the eve of CNY! YEAH!!! We would like to wish all our friends and graduates a Happy Chinese New Year! We continuously think that 2015 is a GOATY GOOD BULLISH YEAR! Remember to save some money to get into the market whenever it is oversold! Daniel Loh, the "Fengshui expert" thinks that 2015 is a year not to be missed! It is raining QE Hongbao everywhere! DOW indeed bounce back from 17000!